MASTER IN FUSION ENERGY - SCIENCE AND ENGINEERING - Benvenuti su masterfusion! The Master is part of the initiatives included in the development of the postgraduate education foreseen in the “Road Map to Fusion Electricity” of the European programme “Horizon 2020” with particular reference to those aimed to the formation of scientists and engineers for industry. The new edition of the Master presents a significant novelty. The PhD students with a Master in Fusion Energy can access directly the second year of the PhD course. A certain number of PhD student positions financed by industries operating in fusion energy will be reserved for those already possessing a Master in Fusion Energy with the PhD work mostly undertaken at the laboratories and plants of the financing industry. 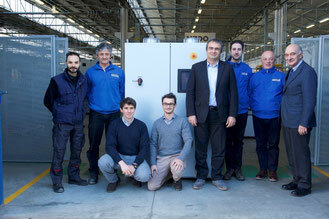 A successful example of link between University of Rome Tor Vergata and industry through the Master in Fusion Energy. Filippo Gherdovich enrolled in the 2015/2016 edition of the Master in Fusion Energy. 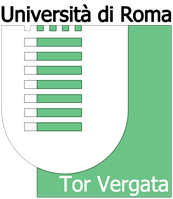 After completing the Master he started a Research Doctorate at Tor Vergata on a research project on the applications of supercapacitors to fusion supported by OCEM, a world leader in power electronics and a sponsor of the Master in Fusion Energy. 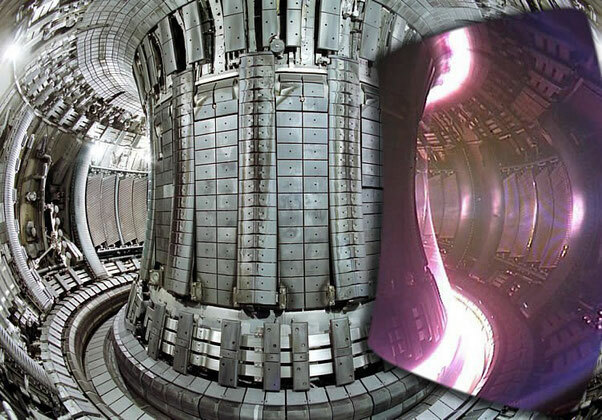 The project has involved the realization of part of the power supply system for the Proto-Sphera experiment at ENEA Frascati on a novel concept of fusion energy reactor. After the completion of the Research Doctorate Filippo will continue his work in OCEM as designer in power supply systems for fusion technologies. He describes his experience in OCEM as follows: "A growing up experience between research challenges and industrial needs". Dr. Giuseppe Taddia, General Manager of OCEM Power Electronics, is very positive on this collaboration: "An opportunity for OCEM to contribute to the training of people with the right skills for our business and to create new links with University ". The updated timetable with the rooms location is now available. 8 January 2019 The list of the students admitted to the Master in Fusion Energy has been published. 26 October 2018 The announcement of the Master in Fusion Energy 2018-19 has been published. Deadline for application is 30 November 2018. The Master will start on January 28, 2019. 11 January 2018 The list of the students admitted to the Master in Fusion energy is online. The deadline for enrolment is January 19. 17 November 2017 The announcement of the 2017-18 edition of the Master in Fusion Energy has been published. Deadline for application December 22. The Master will start on January 22. 8 November 2017 Master students with parents who are employees or pensioners of the Italian Public Administration are eligible for INPS fellowships. Three fellowships are available for the A.A. 2017-18. For more information click here. 7 November 2017 The renewal of the agreement between ENEA and the Department of Industrial Engineering for the Master in Fusion Energy has been signed. Announcement of the 2017-18 edition to be published shortly. 27 October 2017 Three students (two of the A.A. 2016-17 and one of the A.A. 2015-16) have discussed their Master thesis work and received the Diploma of Master in Fusion Energy. 23 January 2017 The updated timetable with the rooms location is now available. 13 January 2017 The list of the students admitted to the Master in Fusion Energy is now available. 23 November 2016 The announcement of the Master in Fusion Energy 2016-17 has been published. Deadline for application is 23 December 2016. 3 November 2016 The renewal of the agreement between ENEA and the Department of Industrial Engineering for the Master in Fusion Energy has been signed. Announcement of the 2016-17 edition to be published shortly. 25 October 2016 The first four Master students of A.A. 2015-16 defended their thesis and received their diploma of Master in Fusion Energy. 10 June 2016 Master stage on safety at the STARDUST facility of the University of Rome "Tor Vergata"
10 March 2016 Visit of the Master students to the FTU experiment at ENEA Frascati. 26 February 2016 The final versions of the Syllabus and the detaild timetable are now online. 25 February 2016 The list of the students admitted to the Master Course has been published. 4 february 2016 Two more PhD fellowships supported by industry have been added to those already committed in December 2015, bringing the total number to six - a clear signal of the interest that the new scheme of the Master is receiving. 21 January 2016 - The Timetable of the Master course is now available here. 13 January 2016 - The applications to the Master course in Fusion Energy are now open! Deadline for the application 18 February 2016. Download the official announcement here. 22 December 2015 - The new scheme of the Master is attracting the interest of Italian industries. Already four PhD fellowship have been made available for the Doctorate linked to the Master in Fusion Energy.